You simply won’t find a more capable, knowledgeable or flexible partner for maintaining and enhancing your existing investments in flexographic technology. ARC International supports you with all types of fabricated cylinders and mandrels, as well as an extensive library of drawings, in both hardcopy and electronic format. 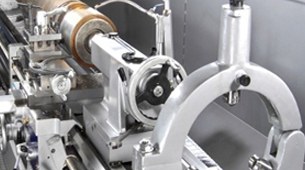 We specialize in reconditions and rebuilds, using a variety of surfaces to suit your specific applications, as well as full reverse engineering of your existing rolls. You benefit from the knowledge and experience of our team of experienced craftsmen and engineers, as well as our state-of-the-art lathes, CNC, grinding and polishing, welding and plasma-coating systems.